I've been after some volumising hair products for a while and as there was a 2 for £6 deal on Tresemme, I went with two of the "24 Hour Body" products. I got the Blow Dry Lotion and the Root Boosting Spray. These products are normally just short of £6 each so I think it was a good deal. Lets hope they actually work! The £5 No7 vouchers are back at the moment and I tend to buy a load of face wipes, eye makeup remover and nail polishes. Today I bought one pack of face wipes and three of their Sheer Temptation lipsticks. 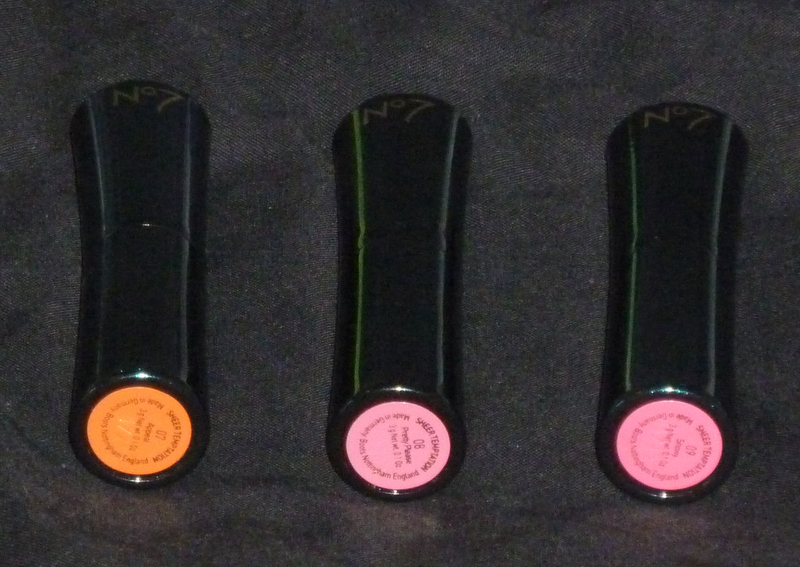 I picked up two bright pink shades and a orange shade. The names of the shades are 07 Appeal, 08 Pretty Please and 09 Showy. 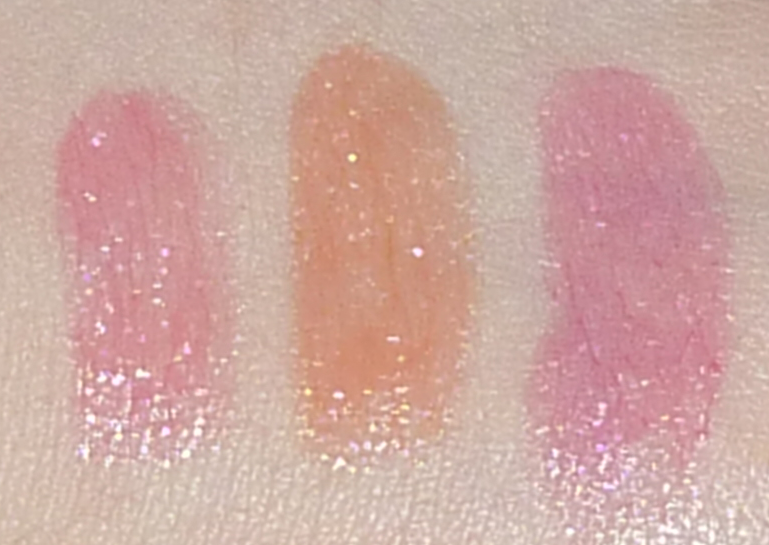 I think I'll do a full post on these with swatches. 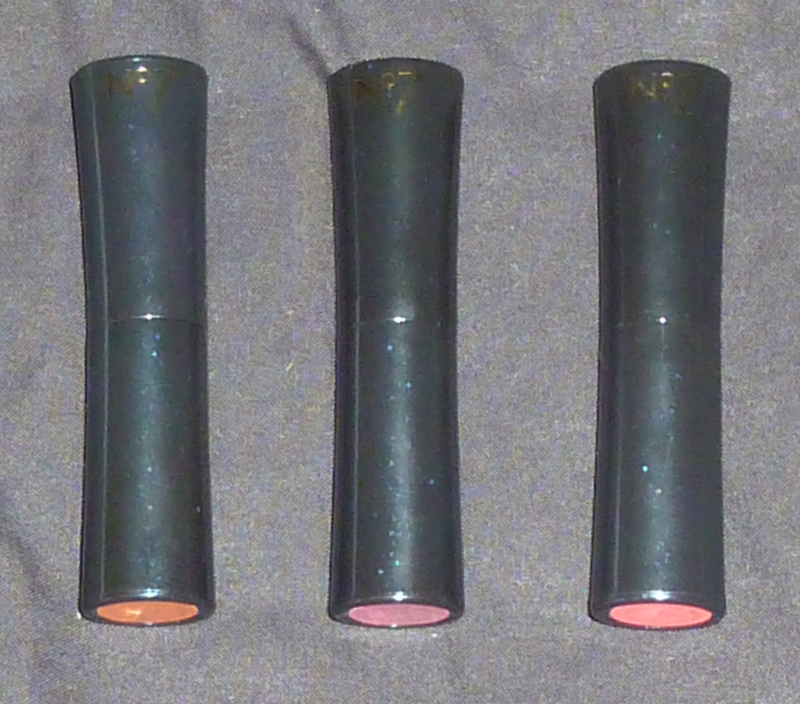 My first impression on trying them in the shop is that they are a bit like Revlon Lip Butters/L'oreal Rouge Caresse. 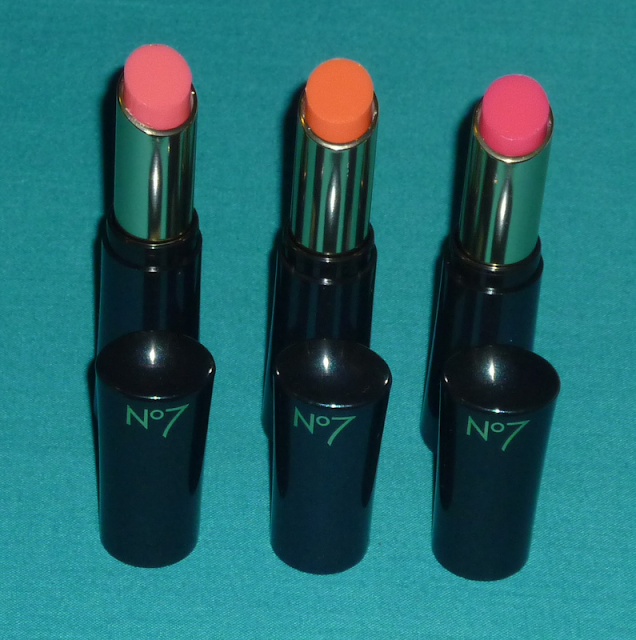 I got a load more vouchers today so I'm sure I'll be buying some more No7 products soon. I had £36 pounds worth of points on my Advantage Card so I spent £34.49 on some products I'd been wanting for a while. I went for two Champneys Shower Creams as they look really luxurious. I chose the Exotic Retreat and the Oriental Opulence scents and they smell divine! They cost £8 each so they are quite expensive but I think they will be worth it. 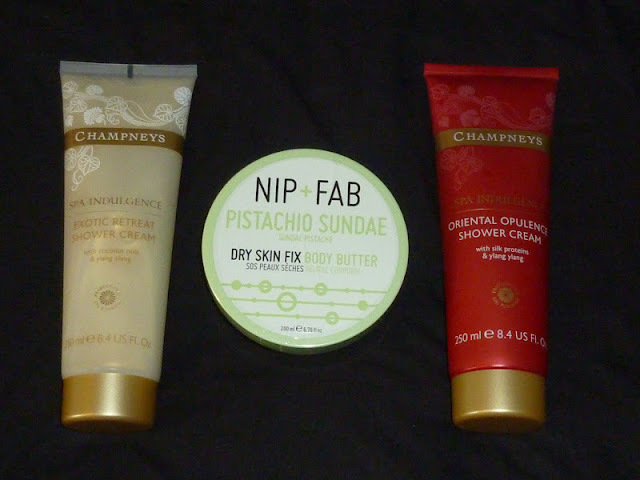 They were on a 3 for 2 deal so I picked up the Nip + Fab Pistachio Sundae Body Butter as my 3rd item. This was £8.49 and I've never tried any Nip + Fab products before but I love pistachios so I think I will enjoy using this. I've just opened it up whilst typing this and I can confirm it smells like pistachio ice-cream heaven! Yummy! The last product I paid for with points is the Stila Brighten and Correct Concealer. This is the first Stila product I've ever purchased and I was actually more interested in trying one of their cream blushes but after swatching this I changed my mind. It seemed quite creamy and opaque on my hand so I'm hoping it will do a good job of covering the dark circles under my eyes. This wasn't cheap at £18 so I'm expecting good results. The product looks quite cool as it's in clear packaging and the concealer has two shades swirled together. The clear packaging is a good idea as normally with these pen type applicators you can never tell how much product is left. 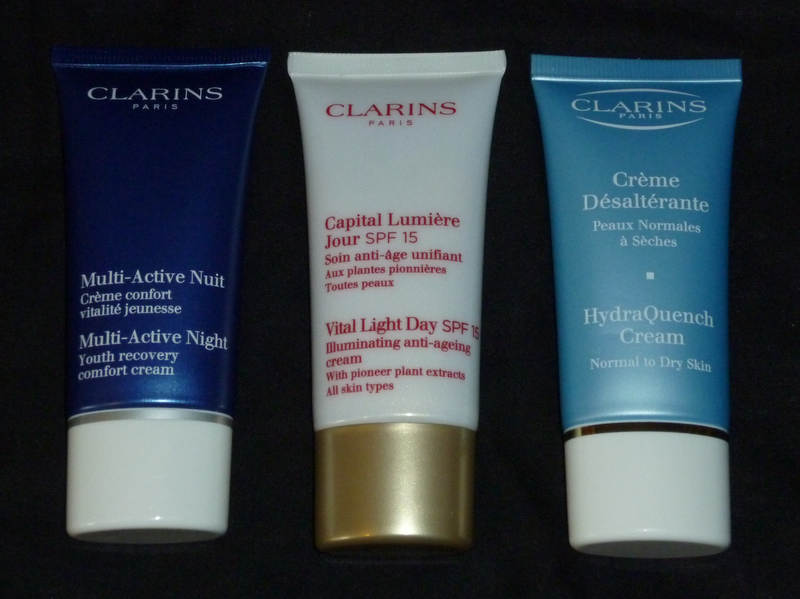 Finally, I had a little splurge at the Clarins counter. 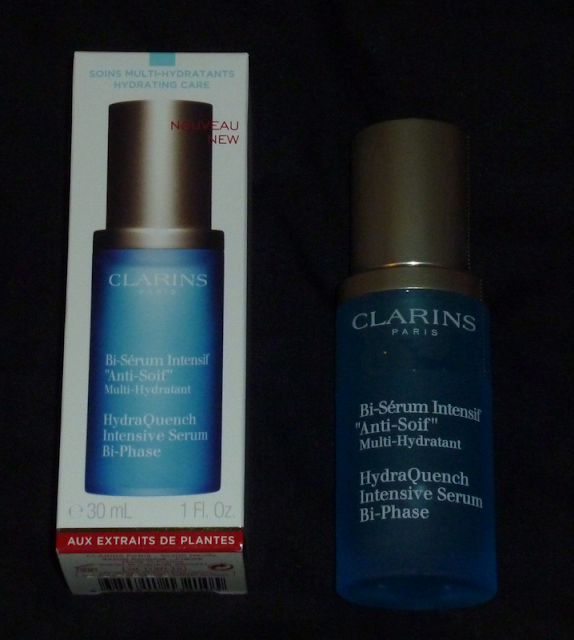 Lately I've seen their new HydraQuench Intensive Serum advertised, probably in a magazine or online, and it really appealed to me as I enjoy using a serum at night (Estee Lauder Advanced Night Repair) and felt like I was missing something in my morning skincare routine. This costs £40 for 30ml and its for dehydrated skin. There is a new gel moisturiser that has been launched with this and it did seem really nice when the lady tried it on my hand but I left that for another time! There was a promotion on where you could choose 3 free super travel sized products from a selection of 10 when you buy two products, one to be skincare. 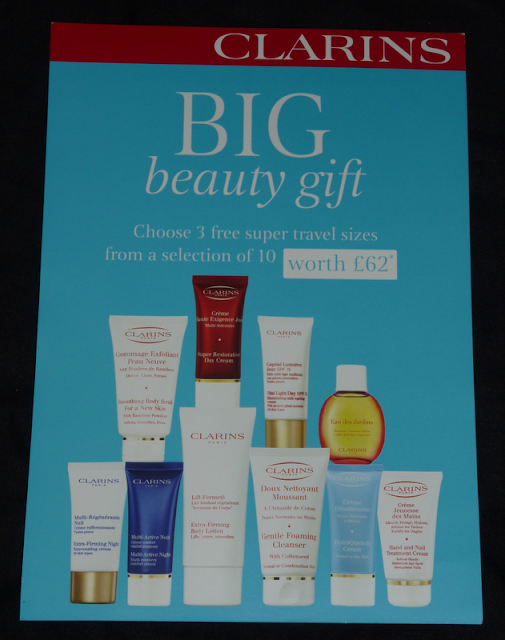 This promotion is on at Boots between 7th and 24th June 2012. The second item I bought was this fab "Beauty Must Haves" bag containing Pure Melt Cleansing Gel 75ml, Beauty Flash Balm 30ml, Smoothing Body Scrub 75ml and Satin-Smooth Body Lotion 100ml. 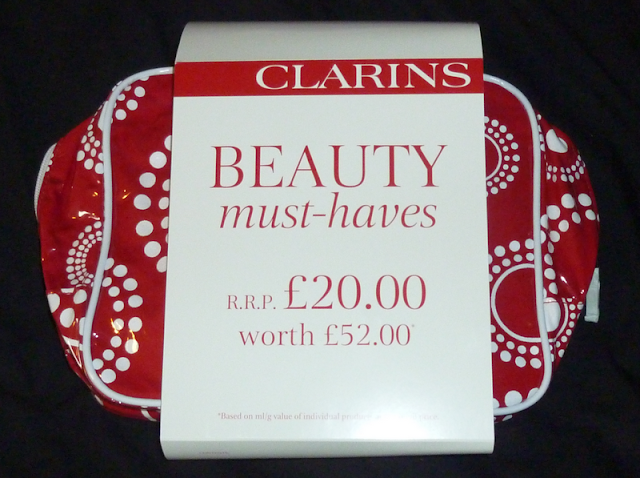 This was £20 and is worth £52 based on the ml/g value of products at full rrp. I've been wanting to try the Beauty Flash Balm for a while and since it's £28 for a 50ml full sized bottle this seemed like a good deal. The freebies I chose are all 30ml sized facial moisturisers so they are probably worth quite a lot. The HydraQuench cream will probably complement my new serum quite well and it's something I've fancied trying in the past so I'm pleased with that one. I also went for the Vital Light Day SPF 15 which is an illuminating anti-aging cream and the Multi-Active Night which I might try layering on top of my Estee Lauder ANR. So as you can see, I've had a good day and wish it wasn't work tomorrow but I'm sure you are all wishing the same! Today I'm going to review the Montagne Jeunesse Travel Pamper Pack which was kindly sent by Montagne Jeunesse to review on my blog. This is a fab little booklet containing 6 sachets of various products for the face, body and feet. I actually received this just before I went to Paris so it was the perfect opportunity to try these products. The first product I tried was the Foot Cooler. There is so much walking to be done in Paris so this came in very handy. It was so hot and I'd been walking round for hours, my feet were killing me! Then I whipped this out and it was like instant refreshment. The product is a lotion which turns into a talc-like powder as you rub it into your skin. 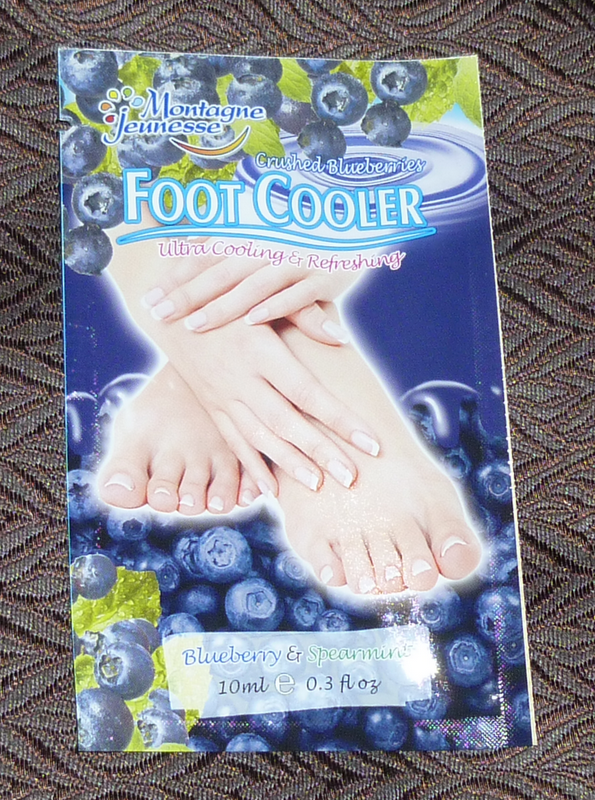 It has a minty scent and contains enough for two uses which meant my fiancé got to enjoy the relief it brings to your poor, aching feet as well! Next I tried the Body Wash and the Skin Smoother in the shower before heading out for a night time meal and drinks. The Body Wash is a gorgeous thick gel that is soothing and moisturising on the skin. There is more than enough in a sachet for one shower. This smells delicious, it's very fruity and smells like orange juice. My fiancé also scored for one of these sachets as I felt sorry for him getting sunburnt earlier in the day! The Skin Smoother is an exfoliator for the body. 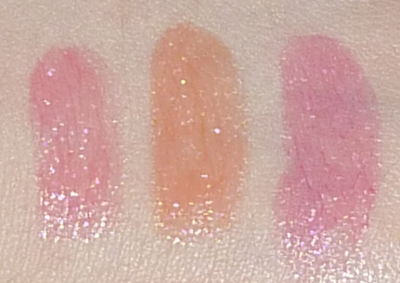 It has a nice grainy texture to give your skin a good polish but it's not too harsh. This one contains apricot and mango so it also smells good enough to eat! I took the other two products back home with me as I didn't get round to using them. I love a good face mask and often purchase Montagne Jeunesse ones as they are cheap and I always see great results from them. 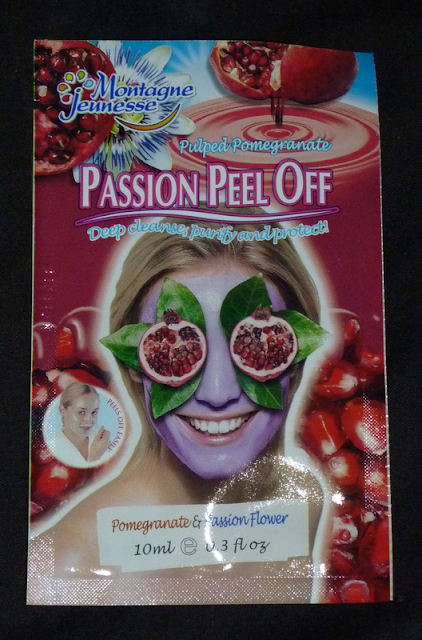 This pack included the Passion Peel Off mask which a gorgeously sweet scented mask made from Pomegranate & Passion Flower that smoothes on easily and can be peeled off after around 15 minutes. It's less messy than a creamy or clay mask as you don't have to spend ages washing it off and my face felt smooth, soft and clean after use. Another great mask by Montagne Jeunesse. 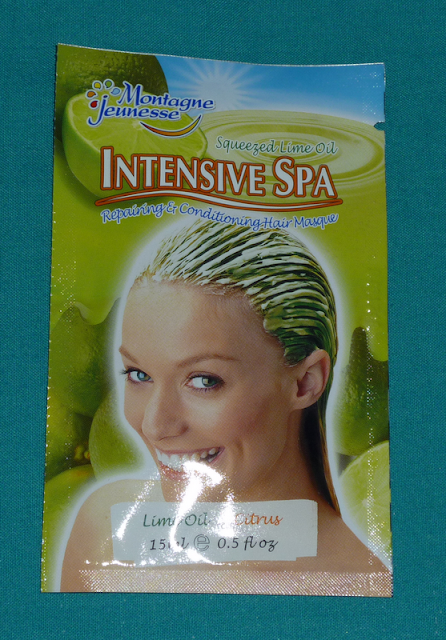 The last product from this pack is the Intensive Spa hair mask. This is a citrus based mask that left my hair soft and shiny. It smelled lovely too. This would be great to use as a weekly treat for your hair to keep it in good condition. 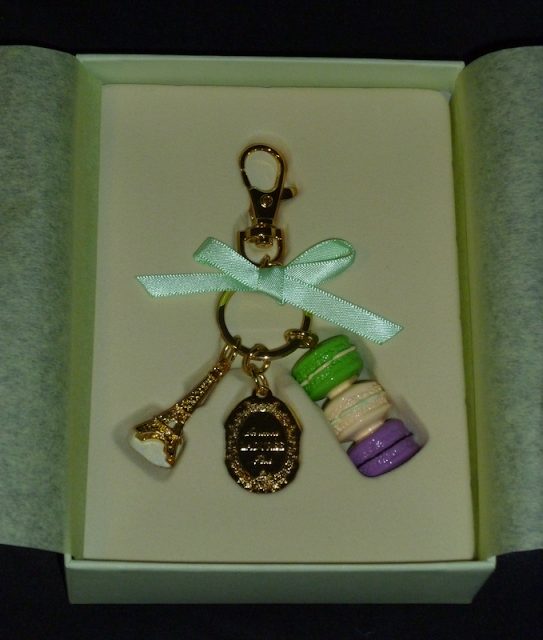 This pack costs £5 and is available from the Montagne Jeunesse website here. I think this is great value for money as you get 6 items and it's perfect to take on holiday. I also think it would be brilliant for a pampering session at home. 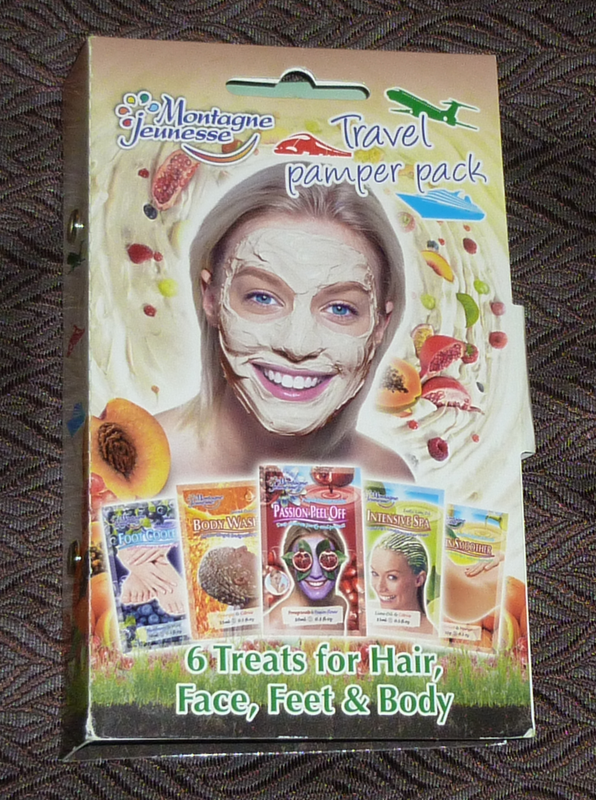 Will you be trying this pamper pack? Which Montagne Jeunesse products do you love? So, I couldn't go to Paris without doing a little shopping right? I didn't go crazy but I enjoyed looking round the shops. There were two massive department stores on the same street as my hotel - Galleries Lafayette and Printemps. They were both amazing, they had several buildings each! My first purchase in Paris had to be a bottle of Bioderma Crealine H20 Micelle Solution. I did get slightly confused yet excited with all of the bottles and realised when I got back to the hotel I've bought the version for very dry skin but it should be fine! I've never tried Nuxe products before and I'd previously seen their Reve de Miel lipbalm on other blogs so I picked up one of those along with a Lotion Tonique aux 3 Roses as I'm running out of my usual Elemis toner. It sounds pretty good as it contains roses, witch hazel and chamomile so I'm looking forward to using it. I've tried the lipbalm and I really like it. It's very hydrating and smells nice too. I was quite underwhelmed in Sephora to be honest so I didn't pick anything up from the Champs Elysees store. I think it's because I'd built it up to be amazing but really we have most of the products they sold in the UK for the same price or cheaper! I still ended up visiting a smaller store on the street of my hotel and ended up with a few strawberry scented goodies - a small perfume spray and a body wash. They both smell delicious and I've been enjoying using the body wash as it's nice and creamy. The prices weren't bad either. Something like 5 euros for the spray and 2.90 euros for the body wash. This next purchase is something I've had my eye on for a while. I saw them on the internet around 6 months to a year ago and I really wanted one but they were around £50. When I spotted this in Galleries Layfayette for 26 Euros I HAD to have it! It's so cute. I haven't actually put it on my keys yet as I don't want to ruin it! 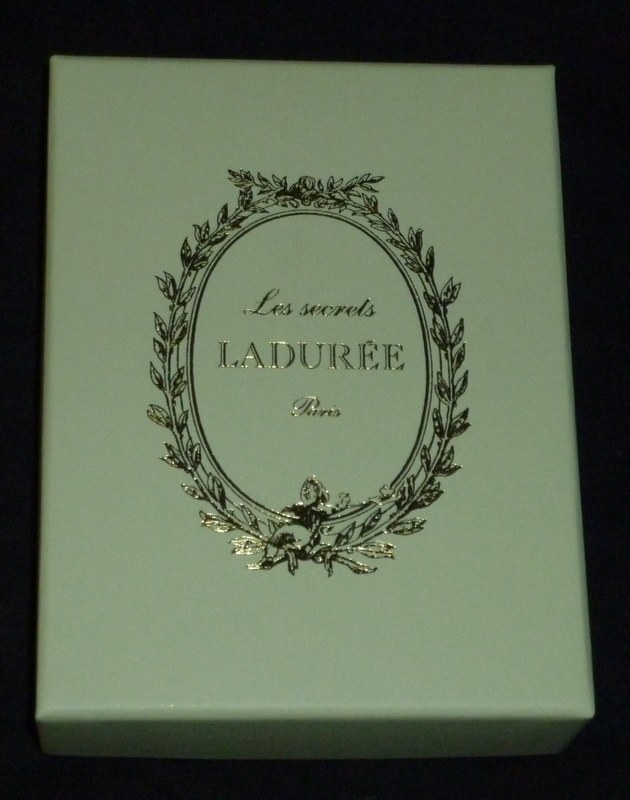 My last purchase was from Duty Free at Charles de Gaulle Airport. 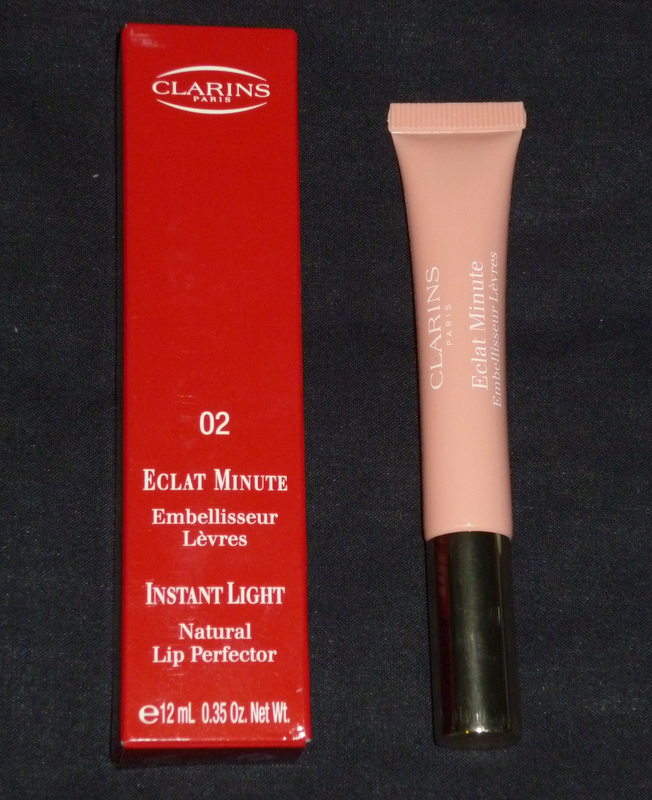 It's the Clarins Instant Light Natural Lip Perfector in shade 2 - the peachy one. This was only around 12.90 Euros so I thought it was a good deal for something I'd been wanting to try for ages. 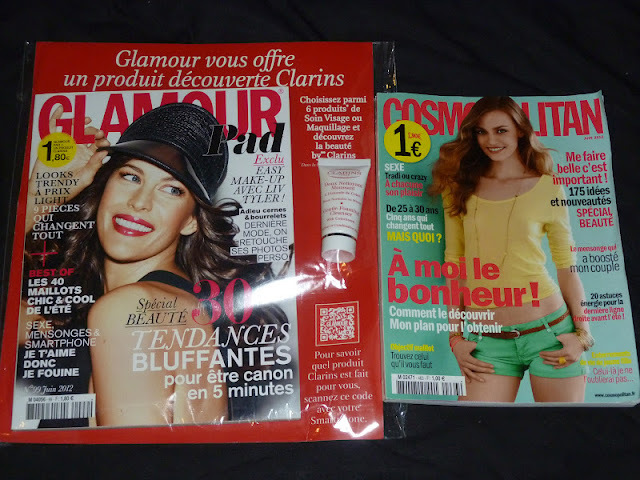 I picked up a few magazines in the airport and they seem so much cheaper than the UK versions, especially with the travel size of Cosmopolitan being 1 Euro on special offer or 1.90 Euros normally! 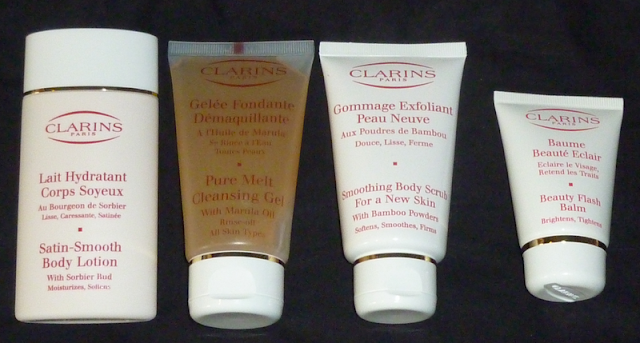 I got a free Clarins face wash with Glamour magazine but after looking at the back of the magazine, I noticed I could have had a Clarins Beauty Flash Balm or something else which I would have preferred! Well that's it for my purchases. I'm sure there's lots more I could have bought but I didn't want to make my whole trip about shopping! Sorry I haven't been posting much lately but I was preparing for my trip to Paris and mainly buying clothes rather than beauty products. I did plan a post on some of the new Maybelline lip products but I managed to delete the photos before going to Paris so I probably won't end up doing it now! D'oh! So I thought I'd post some pictures of my trip to Paris in this post and I'm going to do a little haul post next. Paris is beautiful! I've fancied visiting for years and I'm so glad I finally got to go there. There is so much to see (and eat)! I went for 3 nights and could have stayed longer as there were still things to do. As I'm so fair skinned, I'm not one for sitting around sunbathing so this is the perfect destination for exploring. I loved seeing all the sights and walking round for hours. The weather was perfect as well. It was lovely being able to sit outside of restaurants late at night with no chill in the air. I thoroughly enjoyed myself and would definitely recommend a trip to Paris.